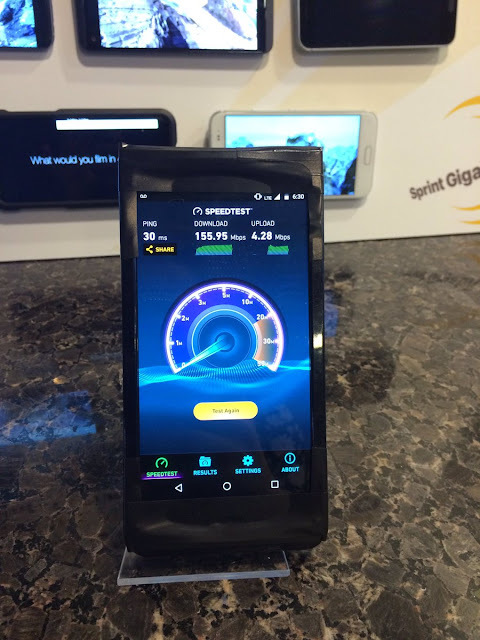 Sprint, Qualcomm and Motorola held an event in New Orleans today to show some of its upcoming projects related to networks. 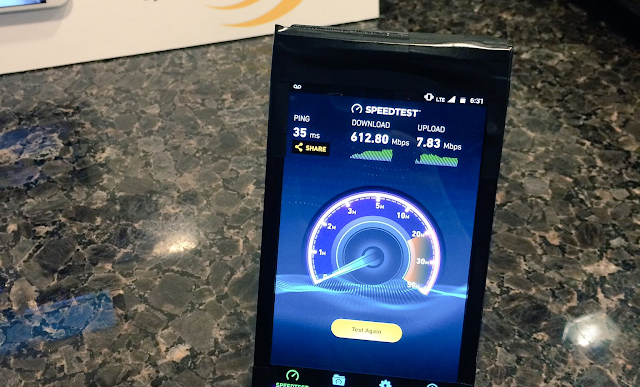 To show off the new Gigabit LTE Network that will soon launch in the US, Sprint showed a new Moto phone running this new network. The phone is all covered in tape as you can see from the picture, so nothing but the speeds can be seen. Android Headlines tested the speeds, and it got 600Mbps and even 800Mbps speeds, which is insane for an LTE phone, or any device at all! Sprint is using a lot of frequencies and antennas to make this happen. We don't know much right now, but we are definitely excited for this new Moto phone coming to Sprint with crazy speeds!